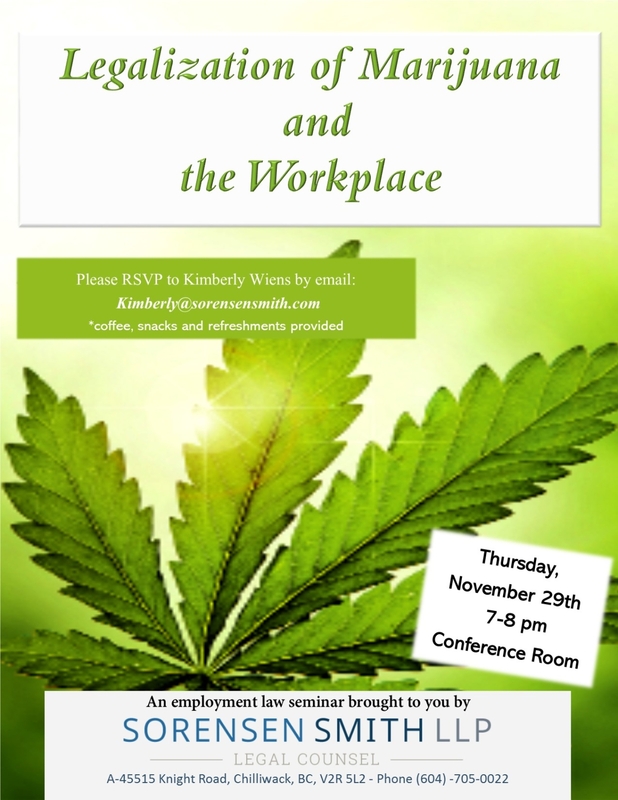 Join us for our upcoming Seminar entitled “Legalization of Marijuana and the Workplace”. See flyer above for details. Call us now as space is limited!